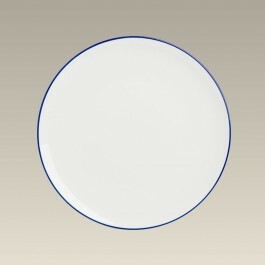 Set your table with this gorgeous blue border flat coupe plate. 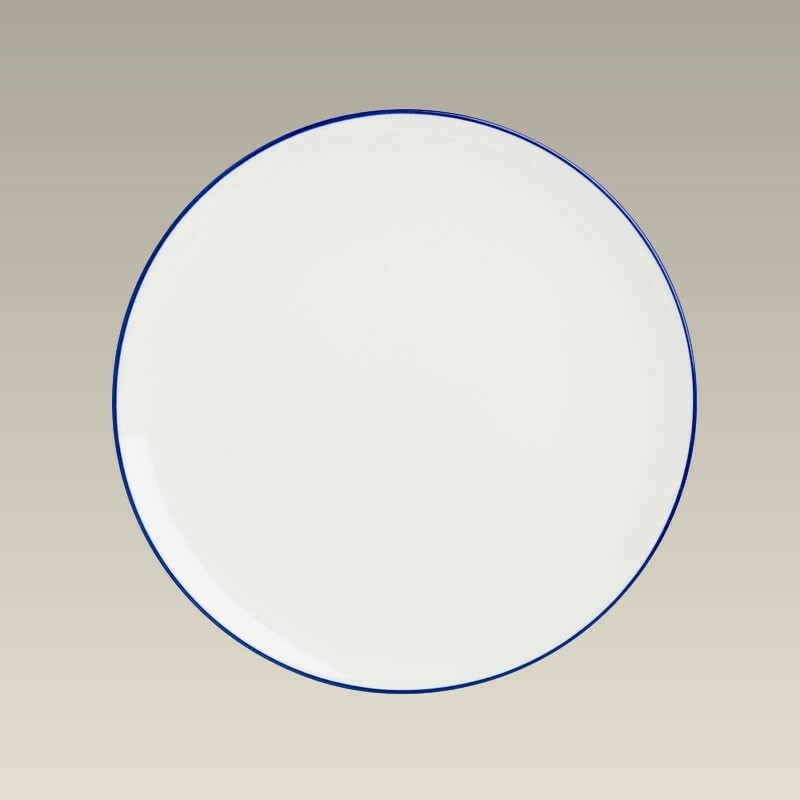 The 8 1/4" porcelain plate is simple looking with a fine blue rim and contrasts wonderfully with bold colored foods and sauces. Made in Poland. Microwave and dishwasher safe.